In its desire to establish the supremacy of the Global 7500, Bombardier Business Aircraft experienced a successful March with three important records for its flagship. The month began with the record for the longest distance for a business jet confirming that the Global 7500 is the champion of this category. This is an important record to hold when one claims to offer the business jet with biggest range. Then in the last week of March, the Global 7500 went for two more records: the fastest flight between Los Angeles and New York and between New York and London. Bombardier has chosen to break the speed record on these two routes first, as they are two of the busiest routes for business aviation and they are reference distances. 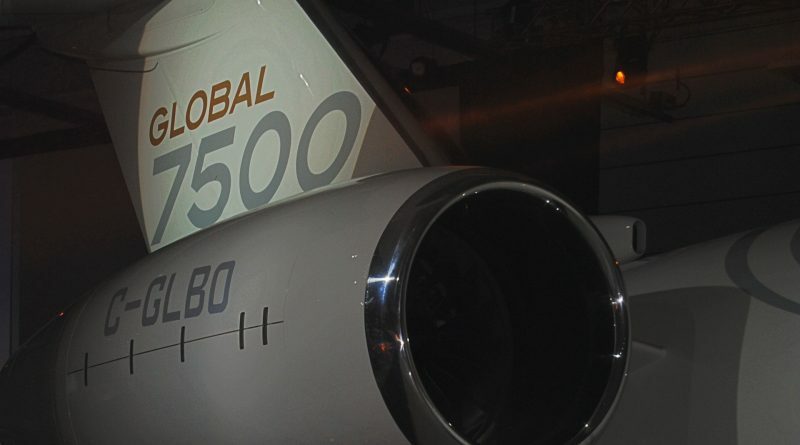 Now that the Global 7500 holds the most important records, the next logical step is to continue to demonstrate what it can do more than its competitor the G650ER. The runway performances of the Global 7500 should allow it to set a new record for the longest flight from London City Airport and it will be interesting to see by how many nautical miles the previous record will be beaten. Then should come the record for distance from high altitude airports like Denver in Colorado or Mexico City. It is expected that the Global7500 will set new records in April in order to be in a dominant position at the European Business Aviation Convention & Exhibition (EBACE) in Geneva from May 21st to 23rd. The goal here is to convince buyers that the Global 7500 is the best.